Built on Quartz and Core Graphics. The system uses an NSView as the container for the CALayer that contains 2 CALayers (Fill and Stroke) The system is Layer-hosted so that the subchildren isnt clipped by the parent frame etc. Its done this way to fully support NSText etc. Its possible to not use NSView by creating a new Graphic class that extends CALayer instead. The benefit would be performance the drawback would be that you would need to add the layer to a Root NSView. This could be a good solution where performance is key, like where there is a lot of animation, or many items. The actual drawing is done in a Custom Shape layer that has a Graphics class instance. This Graphics instance does all the ==drawing to CGContext==. Find the research on multiple point gradients. There is that Russian guy that did this somewhere in an online help doc. make the GraphicLayer class that can be used when using NSLayer isn’t performant enough. make a nice test Platform for graphics, use dashed grid, and top and left rulers with numeric height and with. 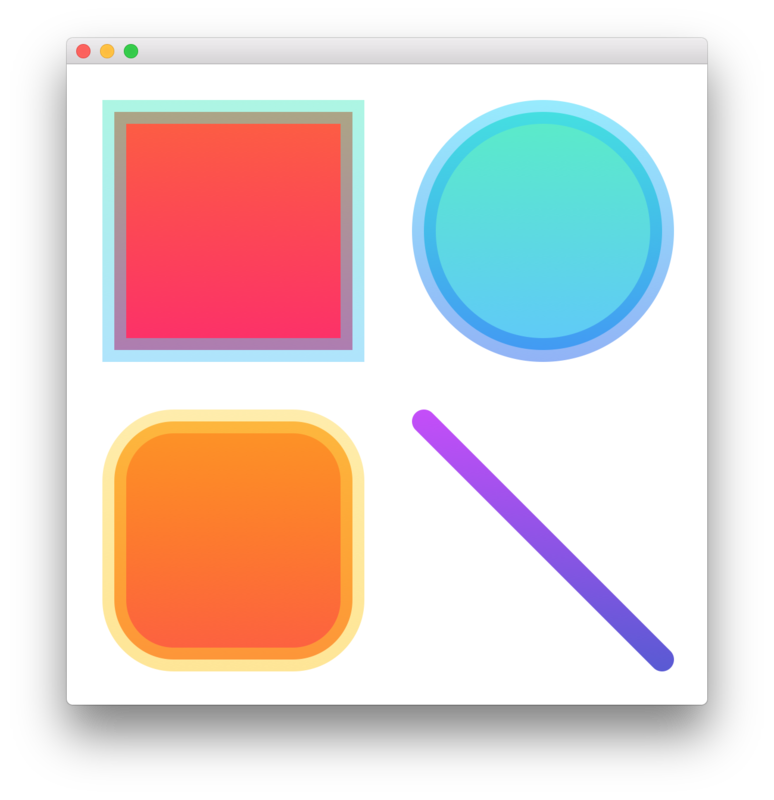 This is useful for showcasing the power of StyleKit graphics engine and for future tests. Also gives great contextual value. research gestures, add a zooming test like you did before.